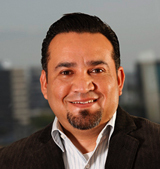 Mario is co-founder and managing partner of Sportivo, and a 15+-year veteran of the Hispanic public relations field. He is a frequent expert source for media looking to his insights and trends on the U.S. Latino sports public relations and marketing arena. He has been quoted in The New York Times, the BBC, Associated Press, PR Week, San Jose Mercury News, Hispanic Market Weekly and Fox News Latino, to name a few sources. He is also a frequent guest speaker or presenter at numerous industry events. Mario began his career with Durazo Communications where he helped develop and execute campaigns for clients that included Target Corporation, Anheuser Busch, Coca-Cola, Buchanan’s Scotch Whiskey, Tequila Cazadores and Merrill Lynch to name a few. Following his stint at Durazo Communications Mario joined BSMG Latino (now known as Weber Shandwick’s The Axis Agency) where he served as Director and helped formalize the agency’s Latino practice. He then served as manager of U.S. communications for McDonald’s Corporation, where he oversaw the company’s national Hispanic public relations efforts from the fast-food giant’s headquarters in Oak Brook, Illinois. Mario received a BA in Communications (Public Relations Concentration) and a Spanish Language minor from California State University, Dominguez Hills in Carson, CA. 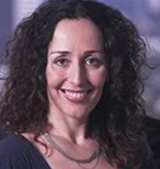 Roxana Lissa is co-founder and partner of Sportivo, and CEO of RL Public Relations + Marketing. Frequently recognized as an industry pioneer, Roxana founded RL Public Relations in 1996 to fill a void in the emerging Hispanic marketing industry. La Opinion –the nation’s leading Hispanic daily – acknowledged her vision when it placed her on the cover of its business section that same year. Roxana specializes in Hispanic thought leadership, strategy and counsel, and is recognized in the Hispanic PR field as a visionary and mentor to many. Prior to launching RL Public Relations, Roxana served as account supervisor at Moya Villanueva, a Los Angeles-based public relations firm with expertise in the areas of corporate and Hispanic communications, marketing and public affairs. While there, Roxana supervised campaigns for the Anheuser-Busch Companies, Kraft Foods, and Coca-Cola, MoneyGram and California Federal Bank. On behalf of the Pharmacia Corporation, she handled international conferences and media events across Latin America including Argentina, Brazil, Chile and Mexico. Previously, Roxana was deputy director of the Hispanic Communications Division for Hill & Knowlton Los Angeles, a leading international public relations firm. She ran the California Avocado Commission’s Hispanic outreach initiative and was responsible for coordinating media relations for Ameritech, a SBC Communications Inc. subsidiary. She also developed various Spanish-language advertising campaigns for Foothill Transit, a company providing bus service to the San Gabriel and Pomona Valleys, and Queen of Angels-Hollywood Presbyterian Medical Center. Roxana began her career in the U.S. at Cooper Communications, Inc., a San Fernando Valley-based firm, where her responsibilities included advertising, special events, bilingual media relations, research, marketing and media training. California, Los Angeles and numerous seminars in the areas of public relations, advertising, marketing and management. Roxana was honored in PR Week’s first 40 under 40 issue, she serves frequently as a guest speaker and is an Advisory Council member of the Hispanic Public Relations Association (HPRA).